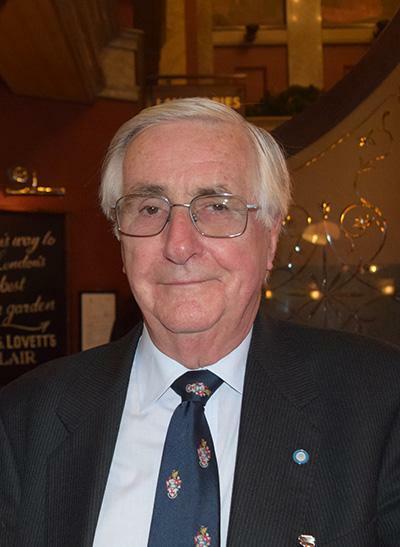 Jim Hubner (Economics, 1956) is the former Treasurer of the Students’ Union, former Chairman of Convocation and member of the University’s London alumni branch. We spoke to Jim about his memories of studying at Southampton in the 50s, of folk dancing and finance. I was looking at universities in 1953, before there was much information readily available to prospective students. I managed to secure a county major scholarship but received absolutely no support from school. Barring the local vicar and some teachers of mine, I only knew 2 people who had gone to university. In those days only about 2 or 3% of people went on to get a degree. I knew that I didn’t want to study in London, so I drew a 100 mile circle around the suburb of London in which I was living, and out of the towns within that radius I thought Southampton seemed the nicest, as it was by the sea. It was a shot in the dark really, but once I got to the University I always felt very at home, and I enjoyed the city. The number of undergraduates rose to 1300 by 1956. My subject was Economics with a twist. In those days you took one primary subject, one secondary subject and two ancillary subjects. There were no modules, so you had to retain all your learning and then it was all down to the final exams, which came all at once. I thought that I would read Economics with Accountancy as my secondary subject, because it would be useful whatever I did later, but my first love was Geography. I had to speak to the Faculty Board about the subjects I wanted to take. When I said that I wanted to do both Accountancy and Geography there was some spluttering and I was told that it was a very strange combination. The timetabling clashed because no-one ever did them together. I had to take one set of exams earlier than everyone else to fit them in, and had to promise not to pass on the answers. To further complicate things, I also had to do “qualifying subjects” to support my main studies; these included Politics, Economic History and Book-keeping. I was told that with all this to cover I would need to do 4 years, but because of where I lived I couldn’t get funding so I had to fit it all into 3. I think the only way I survived was to pretty much ignore the stress of studying and focus on my role as Treasurer of the Union. I stood for Treasurer and probably won because I got a block vote from the members of the Scottish and Old Time Dancing Society. At the end of my first year as Treasurer I was asked if I was going to stand again, and my tutor said that while he should say ‘no’, that I should go for it. I did 2 years and it was fun, but quite a task. My appointment as Treasurer was certainly not the only good consequence of my involvement with the Scottish and Old Time Dancing Society. I remember very clearly the instant recognition that this was something I could do – I had danced before, and almost as soon as I joined the Society I started teaching Old Time dance. I met my wife on that first Monday meeting of the Society, and made so many friends that I still have today. We used to do demonstrations at folk festivals at other universities: Nottingham, Birmingham. There was a network of folk dancing groups. We also joined up with the local Scottish Dancing Society. My strongest memories of university are of the friends I made through dancing and living in Connaught Hall. I also remember the atmosphere, the campus developing around me – they were building the gardens then – and the ceremonial stuff. We used to process through the city at graduations. As a Union officer I had to sit on the dais. We always say that we never left. I became Chairman of Convocation, and as such sat on the University Council for 9 years. A few years after I had finished my stint as Chairman, my wife Monica became the Chairman and was on the Council for 10 years. When Convocation was dissolved, Monica worked closely with the embryonic Alumni Office and lobbied successive Vice-Chancellors to persuade them of the need to give this more resources and for it to become a truly professional organisation, providing a real service to graduates. She is so pleased that it has become what it is today.